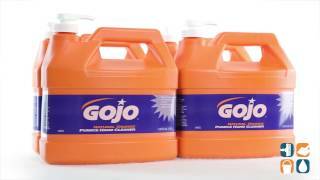 The quick-acting lotion formula in Gojo Pumice Hand Cleaner cleans a broad range of industrial soils, medium dirt and grease. This powerful cleaner is formulated with pumice scrubbing particles for a thorough clean. 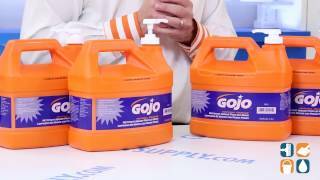 Gojo Orange Pumice Hand Cleaner also contains a natural citrus ingredient and cleans without the use of harsh solvents. Stock up today and save!